Filipinos have been broken yet again – this time not by a typhoon but by a southwest monsoon. I remember the sentiment of a friend from Twitter yesterday, “(Philippines:) Late in tech development, first in the effects of global warming”. I still have high hopes for the Philippines though, this is just a test to the undivided Filipino. In such a short time, relief operations were assembled. Help came, and is still coming, abundantly from people who care – and believe me when I say there are a lot. I am so proud. To those who still want to reach out, please, please do so. Our neighborhood is flooded. Work actually has been resumed today but I can’t go given my situation. However, I still feel so lucky my family is unharmed. God bless the Philippines. This entry was posted on August 8, 2012 by Maricar de Dios. 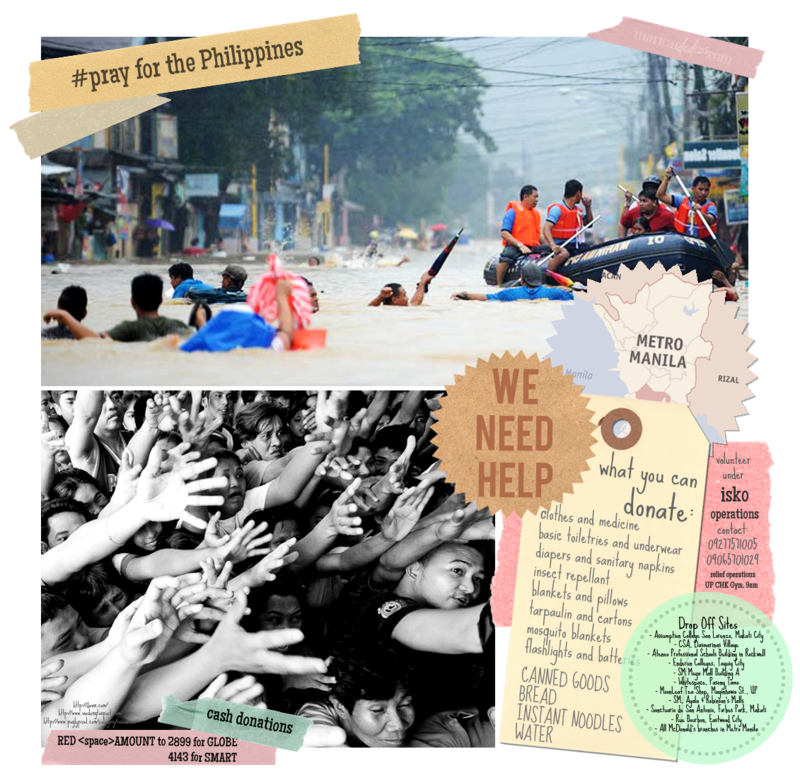 It was filed under Personal and was tagged with August-7-2012, Baha, Flood, Help, Isko Operations, Metro Manila, Philippines, Pray For The Philippines, Red Cross, Relief Operations. OMG! All this time I thought na typhoon ‘to, yun pala monsoon lang? OMG 😦 Hope all of you are safe!